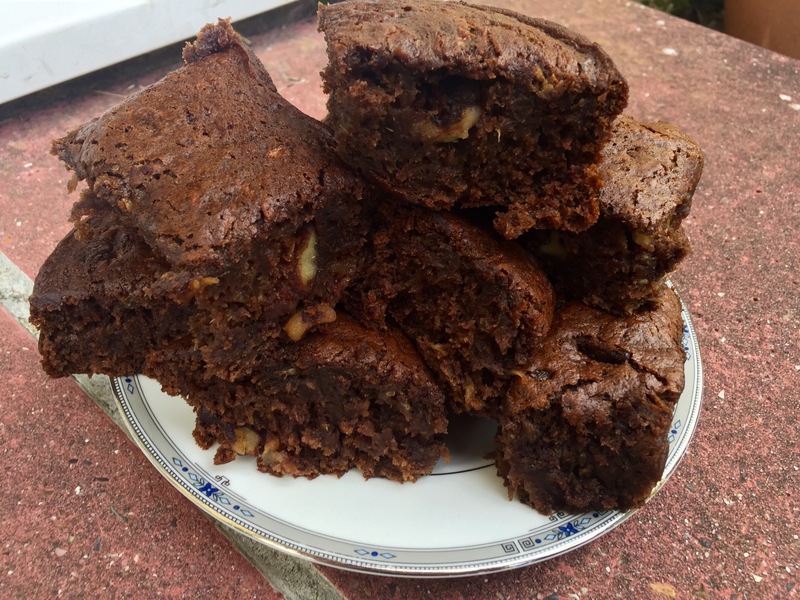 On my quest for healthier baking options, I came across this recipe for Courgette Brownies! 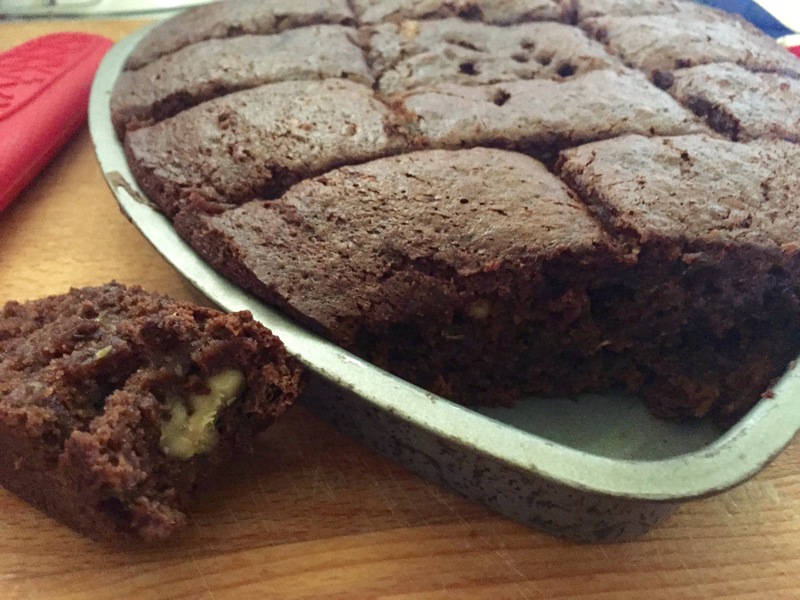 Or, as they’re originally billed, Zucchini Brownies. 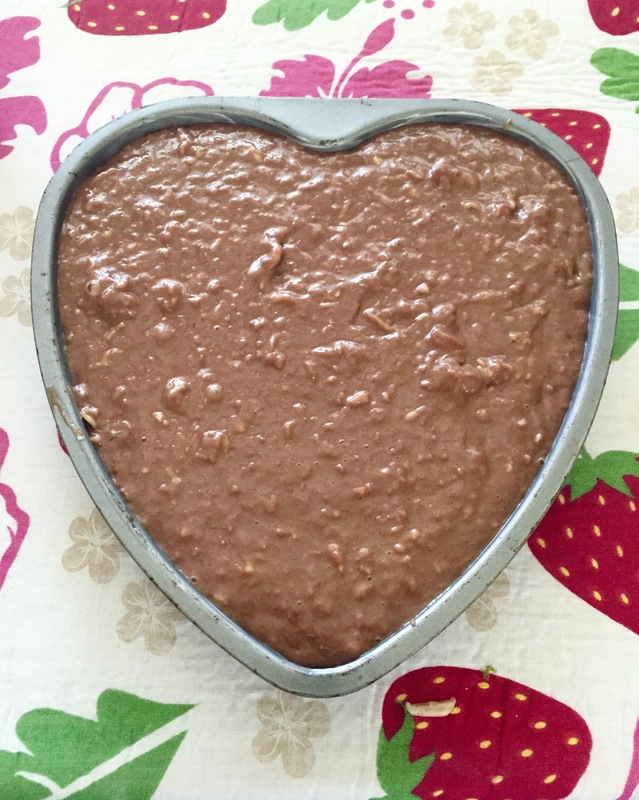 Whichever language camp you subscribe to, the aim is still the same: baking with healthier ingredients while still keeping the delicious flavour which we associate with sweet treats. 1. Preheat oven to 180 C/160 fan assisted/350 F. Meanwhile, grease and flour an 9×13 inch baking pan. 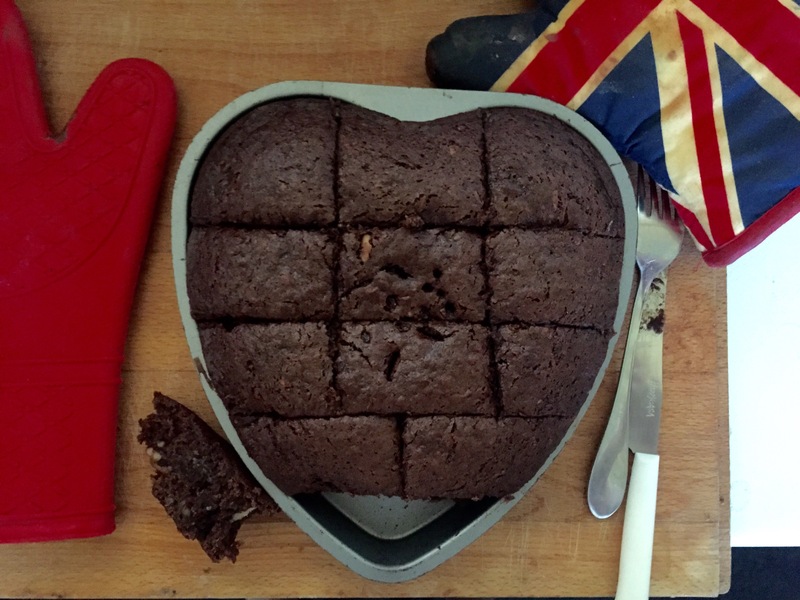 For this, I used my trusty heart-shaped pan, which proved to be a bit of a mistake as it was just too small. This led to very thick brownies, which was lovely, but slightly undercooked ones in the middle, so make sure to use the right pan! 2. 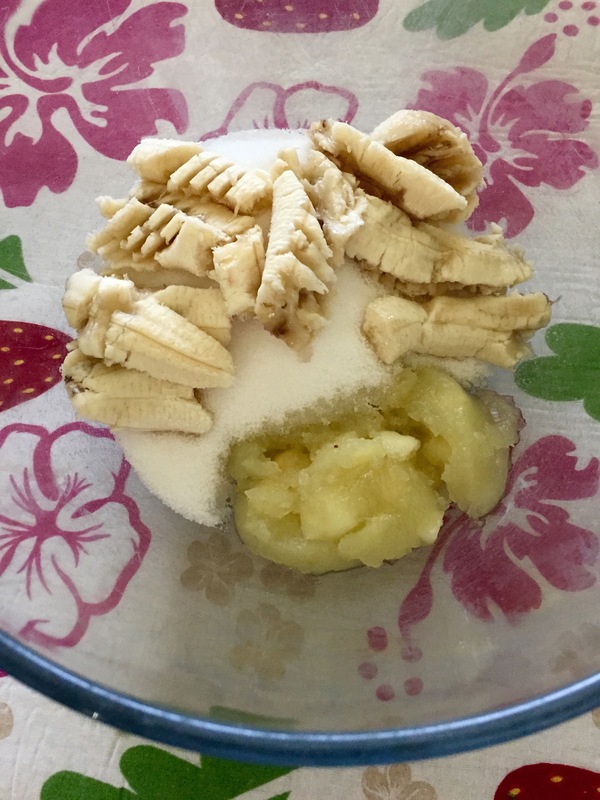 In a large bowl, mix together the applesauce, mashed bananas and sugar. Add vanilla and cocoa and mix together. 3. Then add baking soda, salt, and zucchini and mix together. 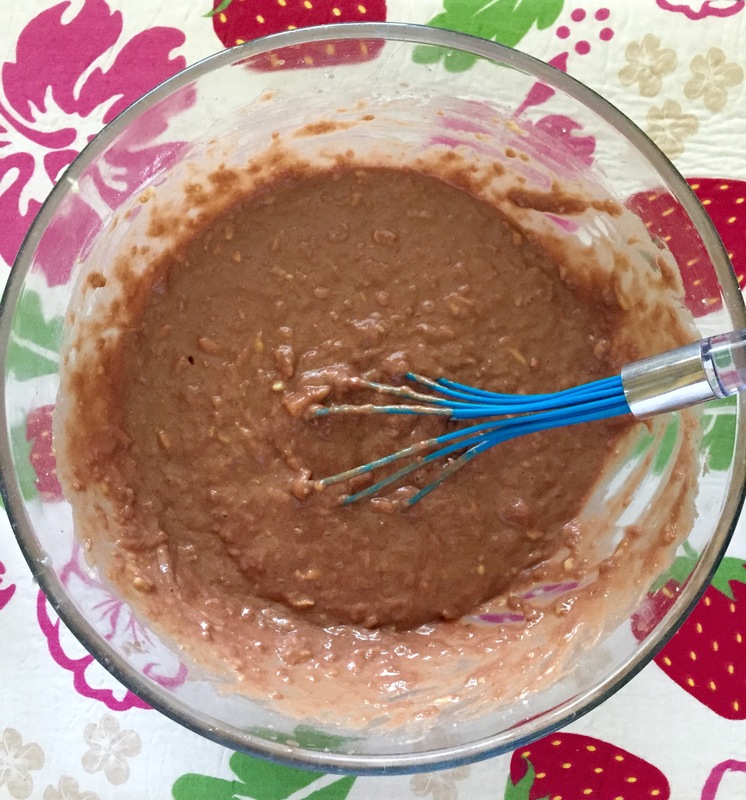 Add flour and walnuts and mix together. 4. Spread evenly into a prepared pan. 5. Bake for 25 minutes until brownies spring back when gently touched. This is where the small pan I used really proved to be an issue. As you can see below, I had to check quite a few times if the brownies were cooked through, which made a bit of a mess of the middle of the mixture. Even so, these tasted great! I really loved the walnuts, and there was absolutely no taste of courgette whatsoever. They were lovely and springy, too. However, as mentioned in the ingredients section, if I made these again I wouldn’t use Truvia as the sugar in this recipe. I might use some kind of brown sugar, as the taste of Truvia was a bit overpowering here. I’d absolutely recommend giving these a try! They’re very easy and taste delicious.